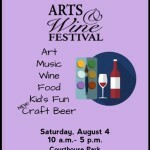 Join the Cultural Council of Cortland County at the 12th Annual Cortland Arts and Wine Festival on Saturday, August 4, 2018! 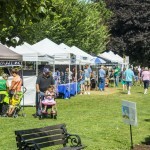 The festival will run from 10am to 5pm in Courthouse Park in downtown Cortland and promises to be fun for the whole family! You will want to examine the remarkable work of artists and artisans from around the region and to consider purchasing gifts for birthdays and holidays in advance. One of the artisans is a puppeteer who will demonstrate and sell her hand-made puppets. 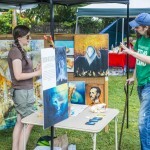 The “Kid’s Art Tent” offers art activities, not just for children, from noon-3pm. There will be a pirate ship and castle to explore and some pirate-themed crafts to try out. You may want to work along-side Stacey from Magpie as she heads up a tapestry-making workshop in the tent. 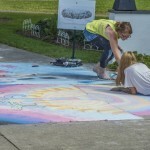 Children and adults may want to enter or observe the sidewalk art contest beginning at 11am. Or perhaps you’ll want to enter Foto Frenzy coming to the festival for the first time this year for children, teens, and adults. For this contest, take photos at the festival with your cell phone and submit two of your best for a chance to win a prize. Besides visual arts, there is music and dance. You can dance, do yoga, have some lunch, or pull up a chair as you listen to live music all day in the shade from Crown City Brass, Answer the Muse, John West, Clinton String Duet, Fall Creek Brass Band, James VanDeusen, and the JazzHappensBand. You won’t want to miss the Morris Dance Group nor ignore the food offerings on sale from On the Street Pitas, The Food Truck, The Chicken Bandit, Yakisobas, 307 Sports Bar & Grill, and other food vendors. Admission to the wine tent is $16 in advance online, or $20 at the door. Only those 21 and older will be allowed entry to the wine tent; a legal ID is required. Your ticket includes tastings from New York State wineries and, new this year, a few breweries. The first 700 to purchase tickets will receive a free commemorative wine glass with their purchase. Festival proceeds benefit the Cultural Council, a non-profit organization whose mission is to encourage, promote and sustain arts and culture in Cortland County in order to enhance and enrich the quality of life. 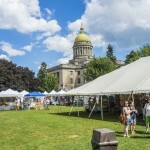 The Council could not continue to offer events like the Arts and Wine Festival without the support of the Cortland Community, Cortland Common Council, Cortland County Legislature, CNY Arts, and sponsors such as Equus Advisors, The Local Food Market and Cafe, CFCU, William A. Maffey and Merrill Lynch. For more information about the festival and to order tickets to the wine tent, please visit our website www.culturalcouncilofcortlandcounty.org, contact us via email culturalcouncil3@gmail.com or phone (607) 753-1188. We look forward to seeing you Saturday, August 4th to celebrate the arts!